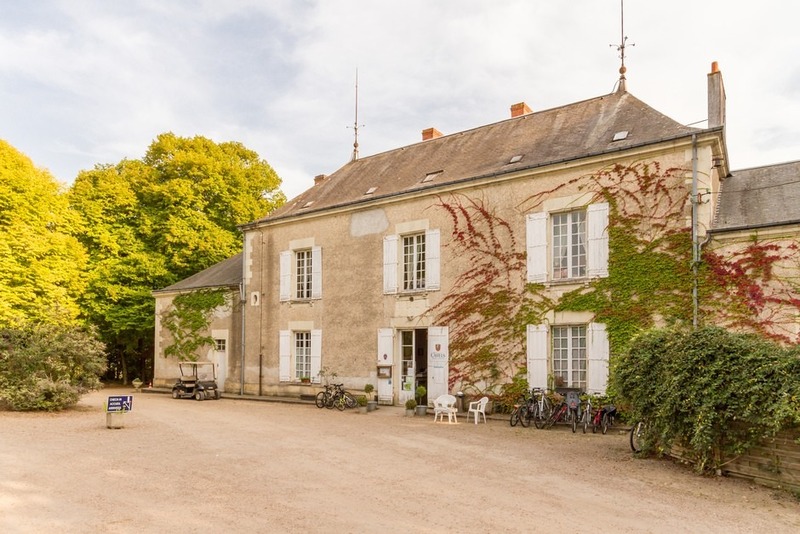 Open from April 12 to September 15, 2019, Le Petit Trianon campsite is found in Ingrandes-sur-Vienne, where the regions of Touraine and Poitou meet. 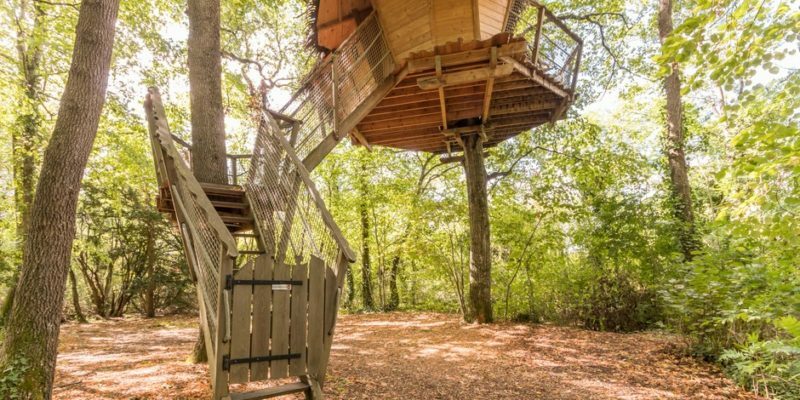 Ideally located halfway between the Futuroscope and the castles of the Loire. 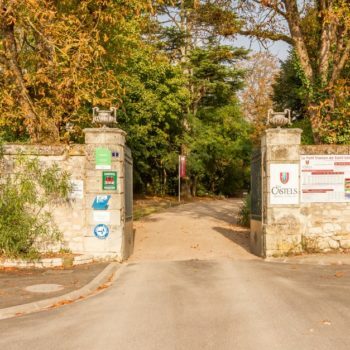 At Le Petit Trianon campsite, you are at the heart of the local historical heritage and the visit starts right here at the park with the old church dating back to the 11th century, the medieval castle, the outbuildings, the 14th century bread oven and the 18th century manor house taking you through the ages without even leaving the site! We offer a variety of accommodations whose key words are comfort, calm and space. 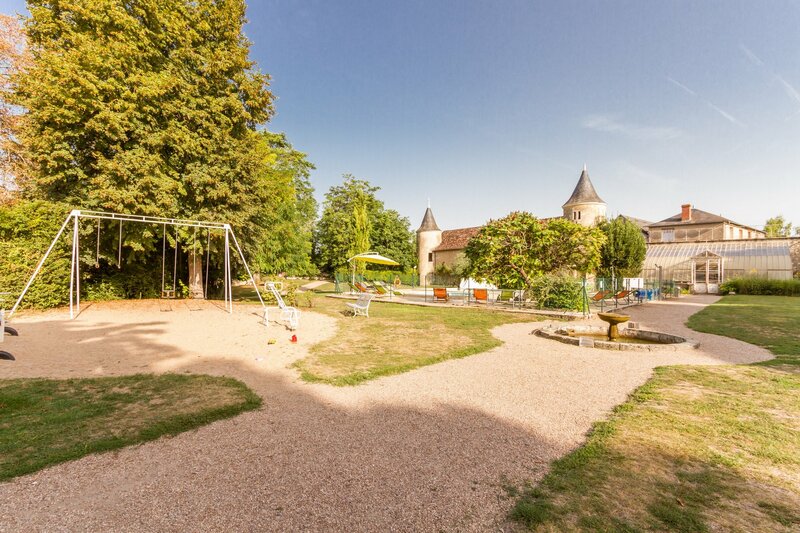 Large pitches, a beautiful heated swimming pool in front of the 14th century towers, spacious playgrounds, neat equipment promise you a pleasant stay in a relaxing and family atmosphere. 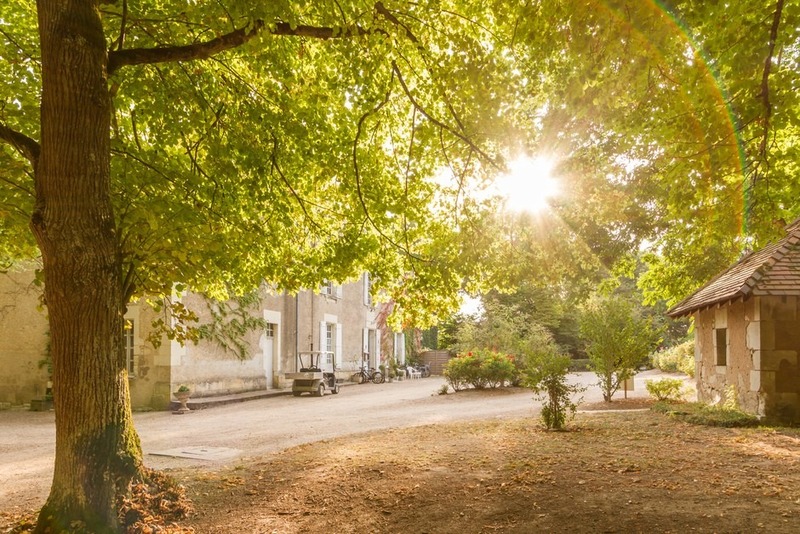 The campsite is open from April 12 to September 15, 2019. The heated pool will be accessible early May. 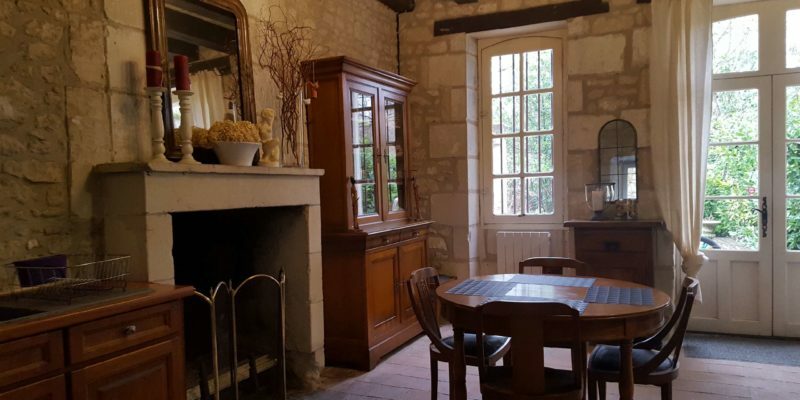 Are you looking for a comfortable and functional place to stay whilst on holiday? We have a choice of comfortable mobile homes available for holiday rental. We have several mobile homes available accommodating up to 6 people. 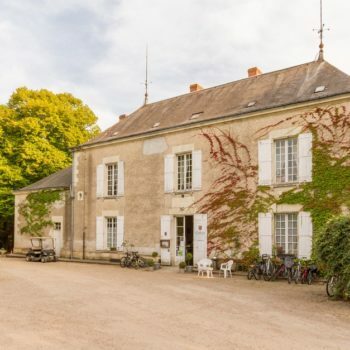 Some vestiges of the feudal castle, an elegant 18th century manor house, a beautiful park of 7 hectares overlooking a peaceful valley, large pitches, spacious playgrounds, pleasant surroundings full of charms of calm, comfort, space and friendship. 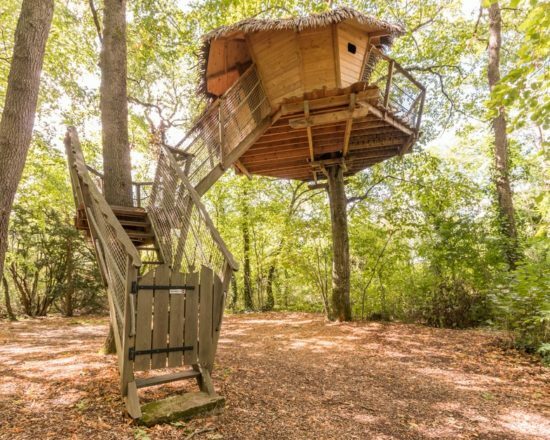 Let yourself be seduced by these atypical tents, and find a child’s spirit for a stay! Symbol of adventure for children, and for all, holidays closer to nature. Our tents are a unique experience and a real feeling of freedom with the comfort of a rental. 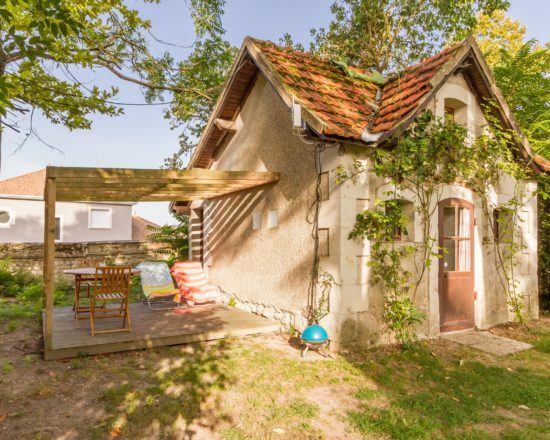 You will be seduced by these cottages borrowing history ! Live a romantic moment while your feet do not touch the ground! 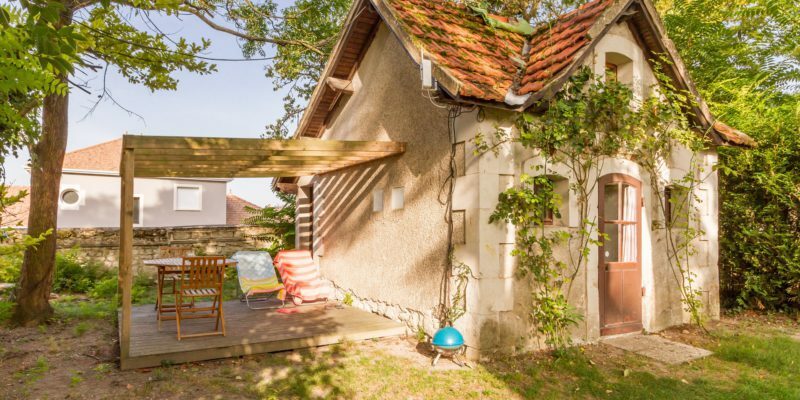 The Petit Trianon offers holiday rentals with heated pool, children's club, animation(July and August), playgrounds for children and many other activities and quality services guaranteeing you an unforgettable holiday in Vienne . The campsite offers various facilities and leisure areas so that you can enjoy pleasant moments with family or friends. Outside, children will enjoy the secure play areas dedicated to them. 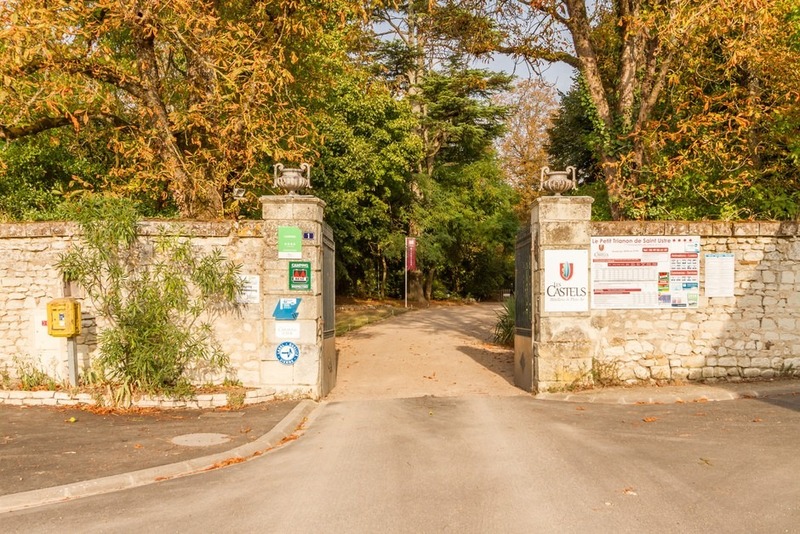 For the more athletic sports fields (football, volleyball, petanque ...) are offered directly in the campground. Pets are welcome (they must be kept on a leash in the campsite). The heated outdoor pool is located in front of the medieval castle; the pool area is a favourite place for everyone. Our team of entertainers are available to look after children between the ages of 3 and 12 years old. A fun program has been developed and includes activities such as quizzes, children’s discos, karaoke, face painting, games and much more. Discover the activities around our campsite. Hiking, ballooning, horse riding, fishing, you will inevitably find an idea of activity to your liking! There is so much to see in the area ! 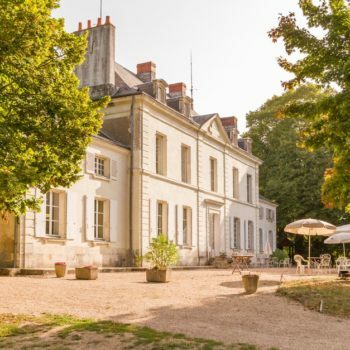 The Petit Trianon is very well placed to visit the heritage of exceptional wealth that are the castles of the Loire, remarkable buildings classified as World Heritage by UNESCO. 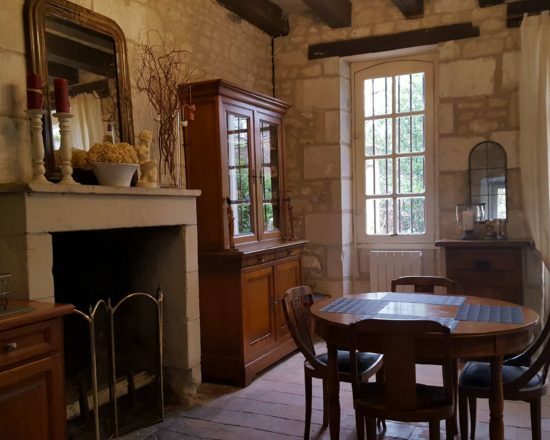 Finally, Le Petit Trianon, is located near Futuroscope and charming medieval villages guaranteeing you an unforgettable holiday in the Loire Valley and Poitou-Charentes. Discover the Château de Chenonceau in the heart of the Loire Castles with its famous two-storey gallery built under Catherine de Medici. It was built by Katherine Briçonnet in 1513, enriched by Diane de Poitiers and enlarged under Catherine de Medici. the castle of Chenonceau was baptized over time, the “Château des Dames”. 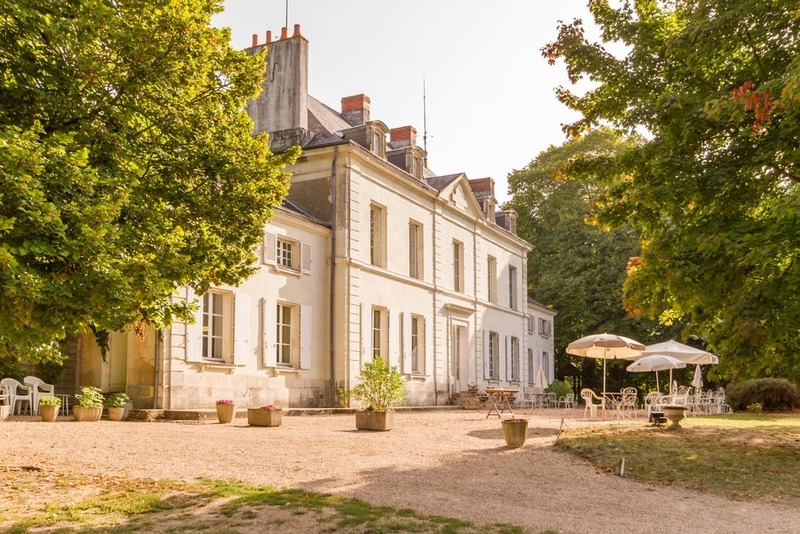 Several women’s personalities have successively influenced the architecture and history of this residence which was royal before becoming a private residence in 1601. Castle Azay-le-Rideau is built on an island in the middle of the Indre under the reign of Francis I. Subtle alliance of French traditions and innovative decorations from Italy, it is an icon of the new art of building the Val-de-Loire in the sixteenth century. King Francis I donated the castle of Azay le Rideau to one of his companions in arms, Antoine Raffin, whose family occupied it until the French Revolution. Futuroscope is the 2nd most popular theme park in France with almost 2 million visitors every year. It offers a multitude of attractions based on futuristic multimedia, film and audio-visual techniques of the future. Thrill-packed activities, 3D and 4D projections and its well-loved night show make for an unforgettable experience! More than 25 other attractions, Futuroscope has something for everyone. 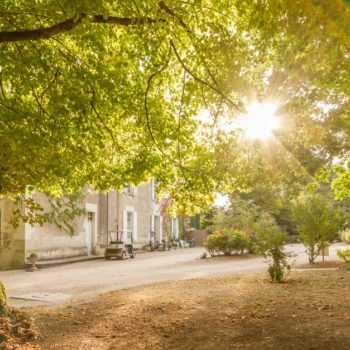 Beauval Zoo is home to more than 5,000 animals in Saint-Aignan (Loir-et-Cher), near the famous castles of the Loire. In this zoo ranked among the 10 most beautiful animal parks in the world, 400 species are represented, including the only Pandas visible in France now with a baby panda (see all photos and videos there), but also koalas, manatees, okapis, kangaroos or tigers and white lions. Plan a full day to enjoy the 30 hectares of the park. A question? A quote request?